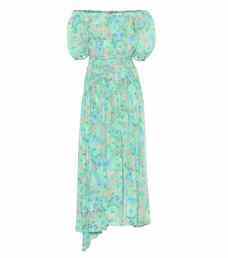 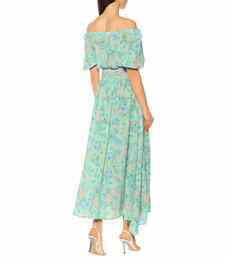 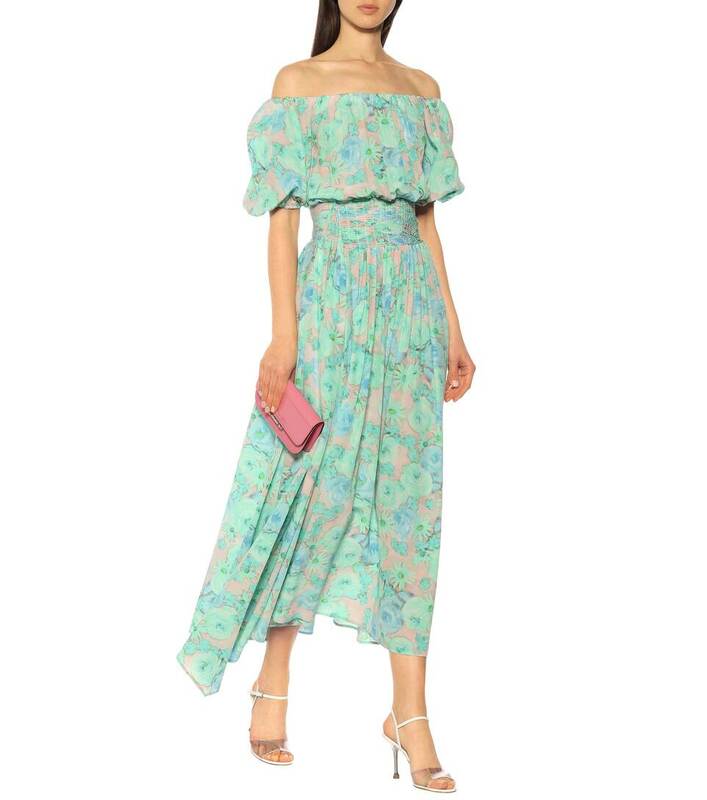 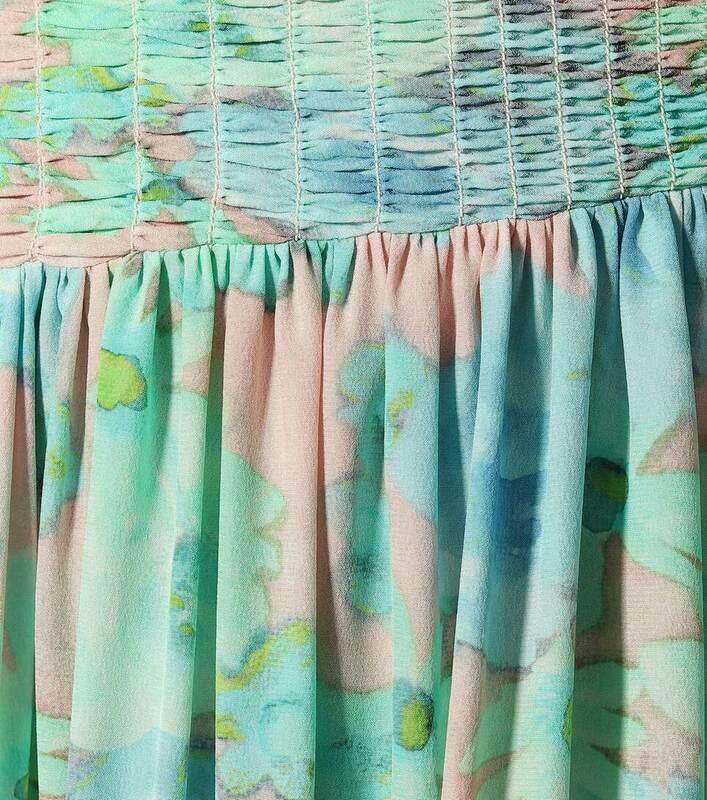 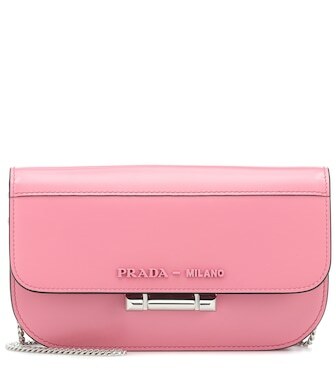 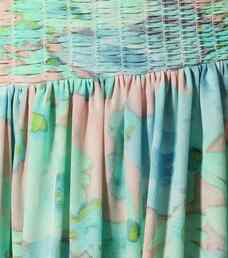 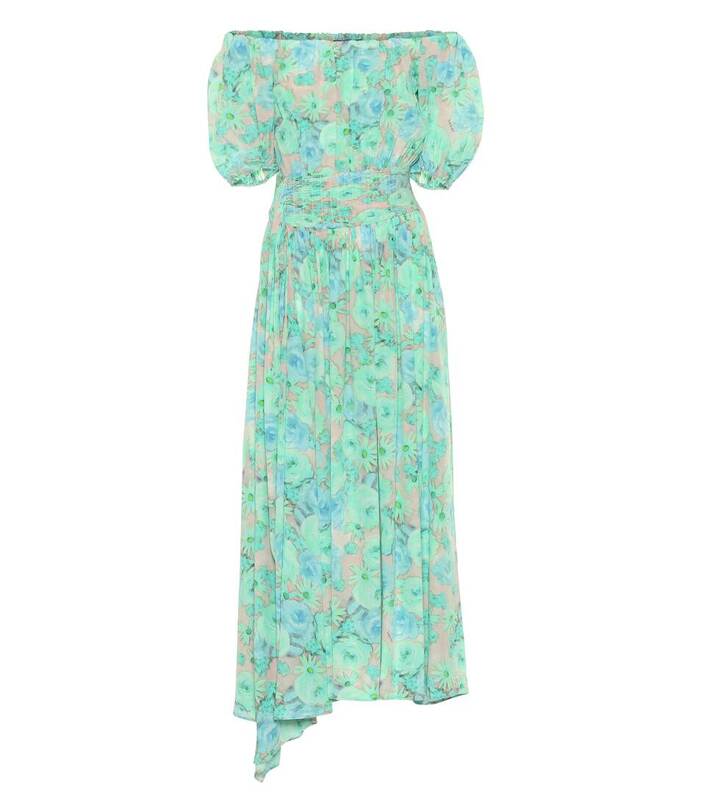 With off-the-shoulder styling and a romantic pastel print, this silk dress from Prada is a springtime dream. Crafted in Italy, it features smocking at the waist, puff sleeves with elastic trim, and an asymmetrical drape to one side for an ethereal finish. 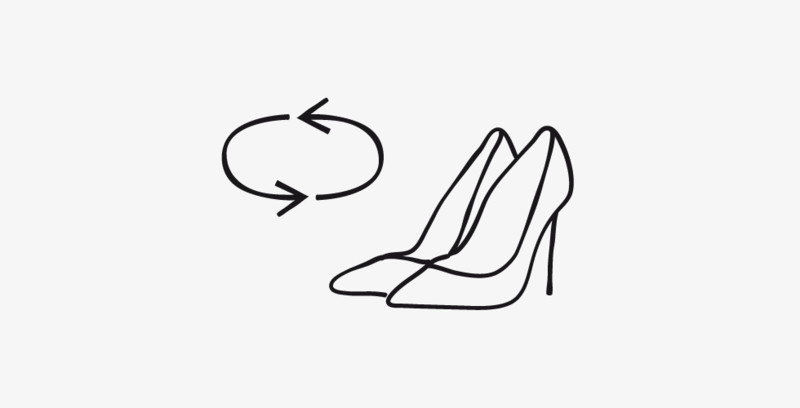 White ankle boots will accompany the feminine design for your next garden party.